Official Images Of The Nike Air Max 95 "Neon"
The Nike Air Max 95 will be returning later this month in its glorious "Neon" colorway. 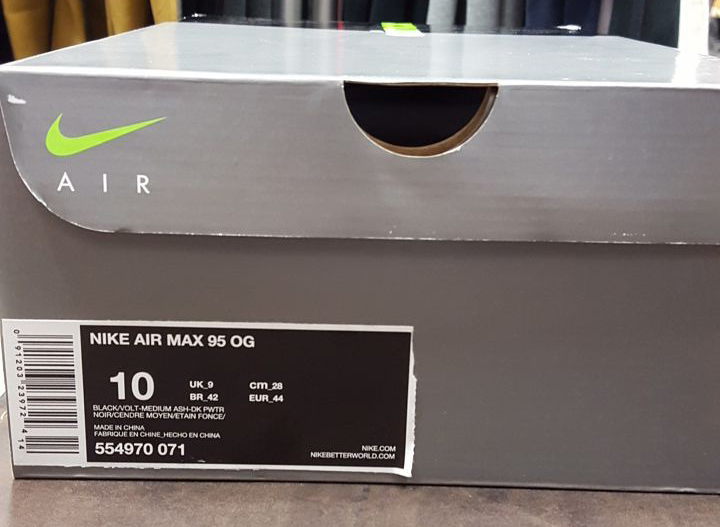 It also looks like the good folks over at Nike Sportswear decided to give us a little extra as we are seeing packaging for the shoe that is about as close to the "OG" as possible. The two-toned box with the big "Air Max" branding on the top and side returns, making sure that enthusiasts get more bang for their buck. How do you feel about this latest effort by the Swoosh to give us the old school feeling back? Will you be copping these on July 25th? Let us know and make sure to keep it locked to SneakerShouts for any more release details.